Minimum size per lot means that you can trade multiple contracts minimum 10,000 units of base currency per lot. Example: when you see the market prices for USD/CHF is: 1.7500/05, it means that you can sell 10,000USD for 17.500CHF on your mini forex trading account or can buy 10,000USD for 17.505CHF. It does not matter what action you will do first: buy or sell currency, this action will be identified as opened market position. As soon as the trade is opened and the price is fixed, you are in the market. Your current unrealized profit/loss will depend on further price changes. You can, at any time, close you market position and fix your net profit/loss, but you have to open an opposite trade, in other words - if you bought, you have to sell and if you sold, you have to buy the same value of currency. The difference between opened and closed prices will be your net profit or loss. To be in the market with an opened trade, we require for you to have at least 0,5% margin on your trading account. It means that if you have one lot ($10,000) opened in the market, you need to have at least $50 margin on your account. Otherwise, all your opened trades will be automatically closed. To open an individual trading account we require only - $100 of initial deposit. 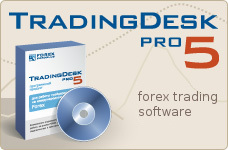 When you carry over your opened position to next trading day (09:00GMT), you'll pay or get Swap points per lot. Table of swap points you can see here. Usually, you pay nothing when you open and close all trades inside of one trading day (from 09:00PM GMT till 8:59PM GMT ), but if you decide not close the trade till the end of the trading day (8:59PM GMT) we'll charge you $1.50 per lot. Example: you opened at 09:01PM GMT and closed at 8:59 PM GMT in the same trading day (total 23hours and 58min your position was opened) - you'll pay nothing, but if you opened at 08:59 PM GMT and closed at 09:01PM GMT on the next trading day (just 2min your position was opened) - we'll charge you $1,50 per lot.